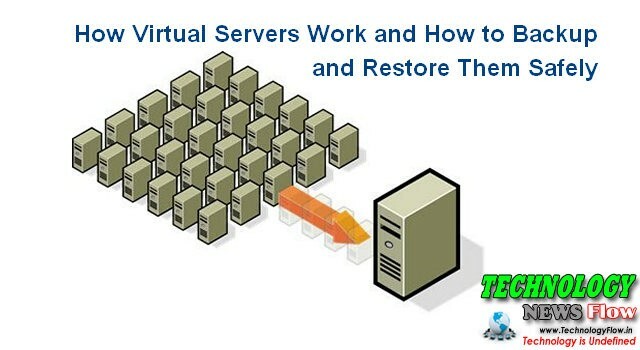 A virtual servers are modern way of hosting websites and applications so that they can be more easily managed. Such a server is essentially a sophisticated piece of software that emulates hardware. Since software can be moved from one storage device to another across the world, managing and backing up critical applications and data becomes much easier. A hypervisor is a special software the mimics all the hardware including the CPU, memory, storage device, network and other resources. An operating system sees it as real hardware and therefore even end users using applications on the virtual machine do not see any difference. By installing a server operating system in a virtual machine, you can run a website with fewer problems. Virtual servers help you create seamless applications with greater up time. In order to take advantage of their best features, you need to know how to back them up securely and then restore them as soon as they are needed. If you are running critical business software or consumer facing applications that cannot face downtime, using the live backup software is the best way. For instance, Hyper-V provides a live migration service that allows you to move your virtual servers without turning it off. If you are using a good hypervisor, hosted on reliable cloud service providers, then the task of restoring data will be as simple as backing them up. When operating virtual servers as your primary means of hosting websites and applications, you need to make sure that your cloud provider has the required expertise and hardware to handle it. Fortunately, most cloud companies have fail proof mechanisms specifically to make sure that virtual machines can be managed more conveniently with load balancing. Most cloud companies automate the whole process of backing up and restoring virtual servers since it is such a common process. Once you sign up with their service, you can view the status of various servers that you have hosted with them from a common dashboard. This portal also provides you with options to manage the servers with single clicks. How to Delete Facebook account Permanently and Securely?